This guest post is written by an old school friend of mine, Stacey Callow. At little man’s eight week check, the doctor noticed that his skin was looking a bit dry so he sent us home with some bath lotion to try. Having tried varying amounts (as recommended on the bottle), it seemed to only make his skin worse, bringing him up in a nasty red rash. Now Daddy has eczema and little man would not let me eat fish when I was pregnant (it was the one thing that made me feel very sick after eating), so I am not entirely surprised his skin is sensitive. But I was not prepared for how quickly it would flare up into eczema, and how all non-prescription creams I tried would make him cry and his skin weep. It’s been very sad to see. So being a modern woman I ‘Googled’ symptoms and advice… and oh my goodness, there’s a whole lot of possibilities out there! Recommendations I read online included : checking for food allergies, the most common seeming to be dairy, but also possibility of citrus, chocolate and wheat. Seeing as I’m breastfeeding exclusively this could be fun, particularly since it can take six to eight weeks or more to remove something from my diet, for it then to leave his system. Food allergies are apparently more likely if the baby has runny nappies, which I initially thought he didn’t have, but thinking about it since, he probably does. 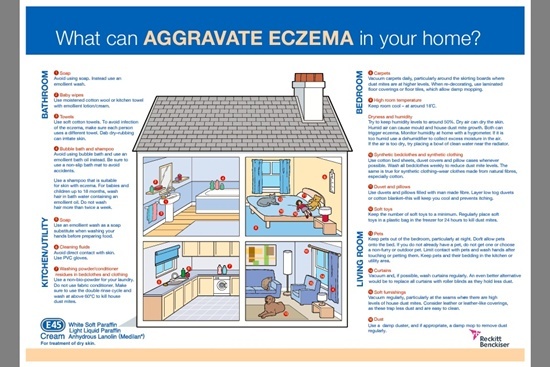 Further triggers of eczema can include dust mites, pollen, washing powders, e-numbers, pets (we don’t have to worry about that one) and probably others I’ve forgotten. I came across some advice which recommended I take a supplement of flaxseed oil, so moisturising him (us?) from the inside out. I like the idea of this but I am hesitant to try this sort of change at this point. So I decided to see the doctor first in order to get something I could put on his skin that wouldn’t cause him pain. We were given a kilo of moisturiser which is like a tub of lard, and some antibiotic/steroid cream. We then had an appointment two weeks later to follow-up and by that time his skin had improved so we were given a ‘maintainer’ lotion to use. However, a few days later, his skin was bad again and this lotion appears to hurt him if his skin’s at all red or rashy, so I am sticking with the Epaderm for now and have another follow-up appointment in four weeks time. Now no one warned me that moisturising my baby would be more like basting a live turkey with butter! He gets so slippery and has the added complication of razor-sharp baby nails that fly to his sore legs the second they’re exposed! So I have had to revert to scratch mitts for him. Even baby clothes aren’t designed to allow access everywhere (arms mainly), so I tend to undress him at most nappy changes which is very time consuming. But it’s worth it when he relaxes and stops rubbing and scratching himself. We had a really bad incident the other day when a few of my sisters gave him a cuddle and he starting crying his heart out, with high-pitched screams, and obviously in pain. We worked out that the perfume from my sister’s neck had gotten onto his skin, causing the upset. Thankfully after an immediate bath he was much better. I have also discovered that bathing is a contentious issue. Some schools of thought advise that less is more, whereas, apparently Great Ormond Street Hospital recommends twice a day (I’m guessing for really bad cases). Having been given a new aqueous cream for bath time to try by the GP, which seems to have worked quite well last night, I am going to try every other day for a bit. One tip I discovered was to moisturise following the downwards direction of the hair, so as not to aggravate the sensitive cracked skin. I have also discovered that EVERYONE knows a baby who had eczema and wants to share their stories. I escaped this phenomenon when pregnant so have been a bit blindsided by all the random people offering advice! Although they all seem to agree that eczema is worse in winter due to the central heating and going between hot and cold temperatures. My main conclusion is that everyone’s eczema is different and it’s only through ‘trial and error’ that I’ll be able to work out what’s exacerbating little man’s eczema, and what creams work best for him. Do you have a similar experience to share? Please let us know in the comments section below. My husband suffers from eczema which is always present but occasionally has major flare-ups. The latest was due to an allergic reaction to a prescription (now fixed). We tried not to use the steroid cream too often due to side effects, and we found that dermalmd serum really helped decrease the itching. And it helped decrease itching within minutes of application! I strongly recommend dermalmd. Try to use foderma serum and this is the only eczema serum that helps my baby’s eczema and dry skin.